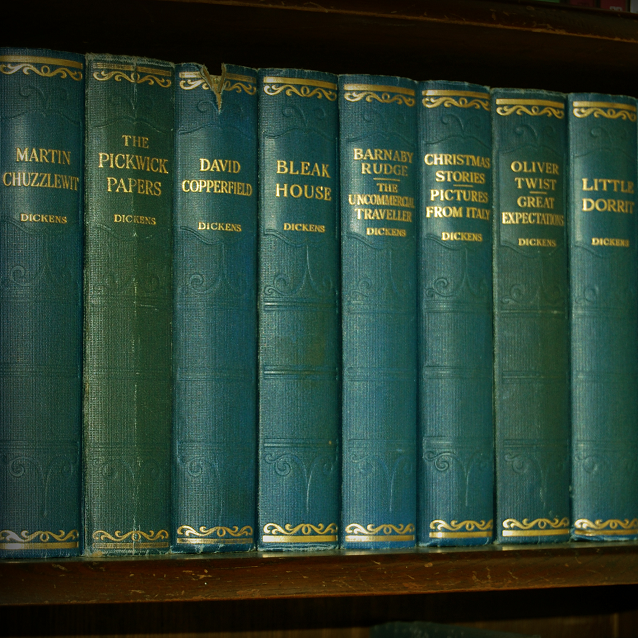 Once upon a time, Charles Dickens wrote “David Copperfield,” sent it off to the publisher, and moved on to his next book. In actuality, Dickens was a pioneering marketer of his day. Releasing snippets of his book to drum up interest in a full book release, David Copperfield, Oliver Twist, et al., got their boost in part because of his efforts to promote it. The marketing profession indirectly owes a lot to Dickens, (though probably not as much as the so called “Father of Marketing”, Philip Kotler). Only difference between him and you? There’s no publisher serving as your go between in the process – once you can get it out there, it’s out there. The next step is directly addressing any engaging, easily optimised content that might otherwise sit around without a much-needed touch-up. Times change, customer needs change. To the point that you’re keen to market your business. And the life of your content, in contrast to Dickensian Britain, is not so finite. Additionally, there is a technical goal that survey topic should satisfy: the needs of an SEO goal the survey attempted to address. A good strategy to re-purpose your content marketing relies on one thing: adaptability. Too often, I’ve become confounded by blogs, webpages and articles that do well statistically (conversions, unique page views, low bounce rates and discernible first legs in a journey through your online presence) and then sit around, waiting to take the next step. We think you’d better think it out again. If you run a financial business that faces a myriad of new laws and regulations you must stay compliant with, those laws and regulations can fly in the face of an evergreen post you wrote in 2013. The post in question had everything going for it in terms of search engine optimisation to land you in the Top 5 of Google. Keyword placement, searchable title, solid meta tags – you met the needs of the algorithm at that given time. Fact is, if you do the homework on any search term, you’ll see content from last decade on there from time to time. That proverbial 2013 post being ranked highly is nice: if it gives off a hint of irrelevance and outdated knowledge, the UX and trust for your brand will suffer. 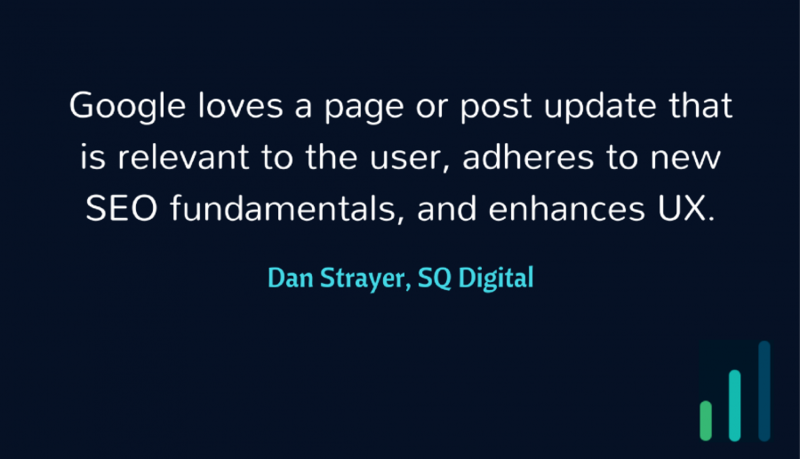 It’s time for re-purposed content: an informed, relevant update, if you will. For UX, there’s nothing more galling that having your website modernise into such a beautiful layout, you half expect young girls with rose baskets singing “Who will buy?” outside the door; meanwhile, your post shows signs and practices of the old site. In short: bring the SEO practices of that content up to speed so that your top five ranking today won’t be penalised (and will possibly move to within the top three) tomorrow. 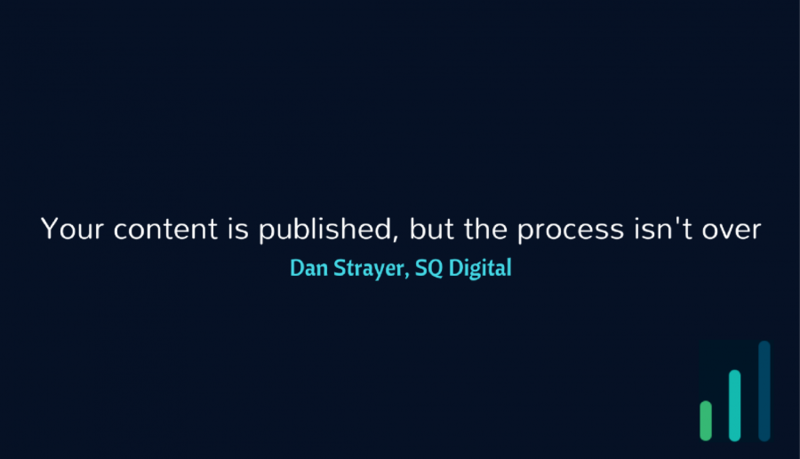 One thing we like to do here at SQ Dgital is brush up content that’s evergreen, is organically searchable, and/or shows such potential with a right good tidy. Remember how we talked about new laws and regulations informing your content strategy moving forward? For posts like this (and even posts that had potential, but couldn’t quite get off the ground), it should be considered that new laws and regulations can inform the posts of Christmas past. Search engines like Google love it when pages or posts change with the times, for enhanced UX, new regulations and SEO purposes. This is proactive content backed by good practical marketing theory. Something as simple as writing “UPDATE” within the body and keeping the original date is a trigger to search engines. Be sure to back it up with relevant additional content, and you’ve let them (and by extension, potential customers) know about a re-purpose of content with meaning, context and relevance to your world. Or as Fagin would say it, you’re reviewing the situation. Review your content marketing situation with the help of our digital marketing agency. We are one of the longest running digital marketing agencies in the UK, and our experience allows us to develop new, purposeful content forms that help your brand get found by targeted leads who can help your business thrive as satisfied customers.